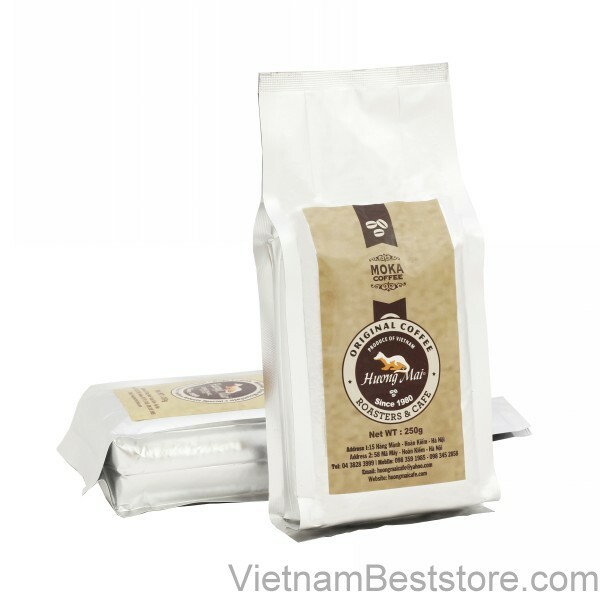 Moka coffee is grown in the best soil Vietnam - Da Lat plateau and found by Dr. Paster. As queen of the kingdom, coffee, mocha particles larger and more beautiful than the other varieties, with deep aroma, gently but quietly seductive, very chic, ecstatic, a little bit of a sour elegance. In structure Moka Coffee smell, the taste is very rich story, and subtly blends make sense of ineffable charm. Especially when you enjoy hot coffee Moka pure, scented, no sugar, no milk, no ice. Coffee connoisseurs.